RMC loves Moms! Show your Mom some love this Mother’s Day and take advantage of some amazing deals! 1. 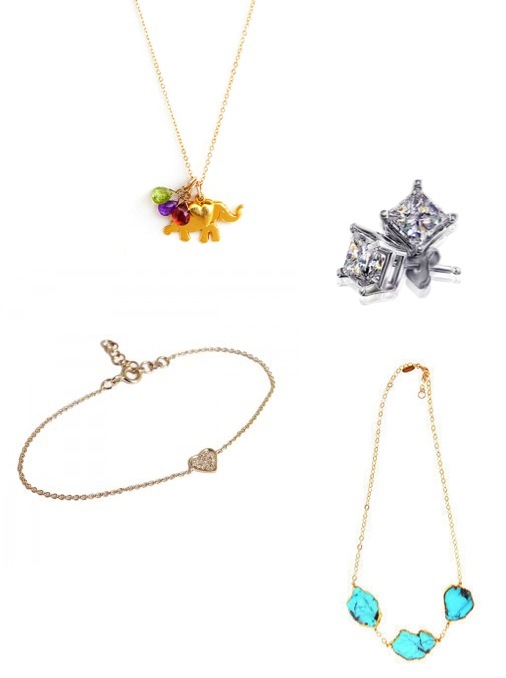 Elephant Heart Charm Necklace with Birthstone is 20% off on www.peoplestylewatch.com. We bet she’d love one with all of her children’s birthstones on it. 2. Russian Brilliants earrings and pendants are all 30% off. We love these gorgeous square-cut studs! 3. Liv Haley is offering 20% off ALL jewelry! We know our Moms would adore this diamond pave heart bracelet. 4. Heather Gardner is giving 25% off her ENTIRE site! Her turquoise statement necklace is a constant fav at RMC. The RMC Closet: Spring Is Upon Us! © Rachel Meis Communications. All Rights Reserved.